Robe made of soft sheer fabric. Speckled sheer lace panels at the shoulders. Three-quarter sleeves with lace trim. Adjustable tie belt at the waist. Lace: 81% nylon, 19% spandex. 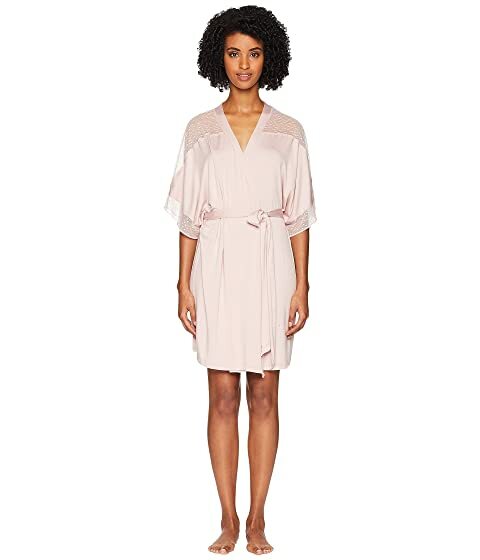 We can't currently find any similar items for the Greta - The Date Robe by Eberjey. Sorry!